Bay Area travelers already know flights at San Francisco International Airport are delayed more often than not, especially when it’s foggy, and this summer it could be even worse when half of the runways are shut down May 17. The four-month shutdown will close two runways to complete the final phase of the federally mandated runway safety project. Even when construction isn’t taking place, SFO is one of the most delayed airports in the country, with an average delay of over an hour, according to the U.S. Department of Transportation. And SFO is also one of the most price volatile airports, a recent study revealed. In 2013, SFO had an average on-timedeparture rate of 76%, the Bureau of Transportation Statistics found. The numbers were even worse for arrivals in 2013, with flights on time 73% of the time. Delays are also longer than other U.S. airports, with departures and arrivals on average over an hour off schedule. Of course, San Francisco’s fog and weather patterns are the primary culprits. When visibility is low, the Federal Aviation Administration allows airliners to land side by side if runways are at least 4,300 feet apart. But the distance between SFO’s runways is only 750 feet, so airliners instead arrive one at a time on foggy days, cutting SFO’s arrival rate in half to about 30 planes an hour. In September 2013, SFO implemented a new FAA procedure to help ease congestion for arriving flights. The new routine, specifically created for airports with Closely-Spaced Parallel Runways (CSPR), is also in use at seven other U.S. airports, including Newark, Boston and Seattle. “This new CSPR procedure promises reduced delays within our existing runway configuration,” John Martin, SFO airport director, stated in a press release in November. Under the new plan, the CSPR procedure allows airliners to arrive in a staggered pattern with the goal of improving arrival times in poor weather. “We don’t yet have quantifiable data on the number or duration of flight delays under CSPR, but we do know that it has increased our average arrival rate during bad weather,” Doug Yakel, SFO’s public information officer, said this week. NerdWallet found that the data shows performance has actually gotten worse since the implementation of the new landing procedure intended to improve performance. Looking at domestic flights from March 2013 to February 2014 — which includes 6 months of data with the new procedure — both the on-time percentage for departures and arrivals has dropped, from 76% last year to 75% for departures, and from 73% to 70% for arrivals. Delays also are longer, with the average departure delay growing to 62.87 minutes, up from 61.92 minutes last year. The average arrival delay of 66.55 minutes a year ago is now 67.94 minutes. If we isolate data from February 2014, the most recent month tracked by the U.S. Department of Transportation Air Travel Consumer Report, SFO had only 56.3% of its arrivals land on time. For the same period, 65.8% of departures left on time. In the Bay Area, SFO has 66.1% of the domestic flight market share, and 95.5% of the international flight market share. But, as growth of air travel continues to increase each year, congestion problems and delays are bound to get worse. According to the Regional Airport Study, the projected capacity for SFO will continue to increase over time, and under the mid-range forecast, total Bay Area air passenger volume is set to grow 67% from 60.6 million annual air passengers in 2007 to 101.3 million annual passengers by 2035. SFO’s runways were designed and built in the 1950s. 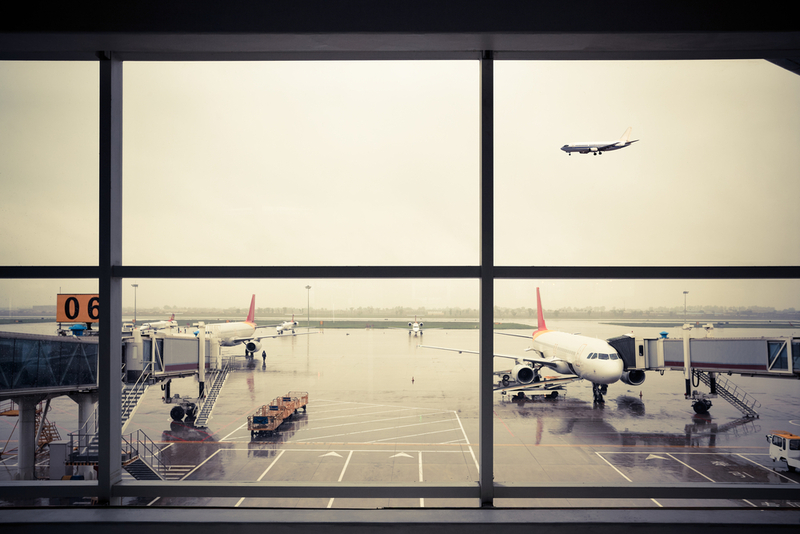 The modern needs of the airport require new solutions, and although it is still too early to tell if the CSPR procedure will improve delays, other solutions deserve consideration. Build a new runway. This has been one of the more discussed solutions, but it seems unlikely to happen any time soon, if ever. It may sound like a simple concept, but environmental and political issues were rampant the last time SFO explored the possibility in the early 2000s. The plan was put on hold in 2003, then essentially killed in 2008. Expansion would include filling in the bay, an expensive undertaking with a series of potential roadblocks. Congestion pricing. Airports can charge carriers higher prices to land during peak times, and in turn create an incentive for airlines to cut back on traffic during the busy, and often-delayed, peak hours. Other airports are already trying the peak-time pricing, and the U.S. Department of Transportation is encouraging the practice. Airport diversions. With SFO handling the bulk of the Bay Area’s airline traffic, it may be time for airports in Oakland, San Jose and Sacramento to pick up some of the slack. Airlines would have to be willing to start running more flights through the other airports, which could mean a more evenly spaced passenger load between the three. But this could cause ground-transportation problems for travelers after they arrive in Oakland, San Jose or Sacramento. SFO is a major economic factor in the region. An analysis of direct, indirect and induced impacts found that SFO contributed $55.57 billion in business revenue to the Bay Area in 2013. Even with the delays, passengers recently ranked SFO fourth in Skytrax World Airport Awards for Best Airports in North America. And it was named Outside Magazine’s “Best Airport” after $138 million in renovations at Terminal 3. Do you have a SFO flight-delay horror story? Do you have an idea how SFO can fix its delay problems? Let us know in the comments below.